I guess I understand the concept of creating art with the milk in a latte, but it seems I am clearly a long way from making art. Well, it looks ok, and tastes great, so I guess my day is off to a fine start! 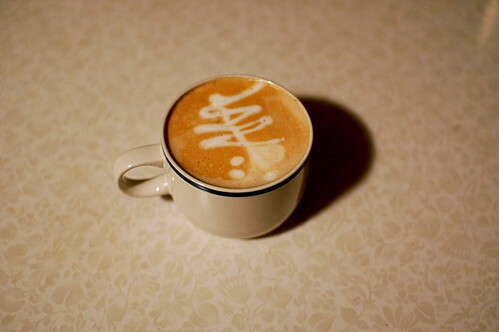 More practice on you to have a good latte art but for now it looks good for just a beginner. You can have a workshop on that if you like too.